Pop punk outfit Handguns are calling a truce and getting the original lineup back together to release new material. The members from the 2010 lineup are now current members: vocalist Taylor Eby, bassist Nate Bobb, drummer Marco Florey and guitarist Thomas McGrath. No one is more excited than founding member and newly reinstated guitarist Jake Langley, who we spoke to about what went down to get the band back together. After mentioning the offer to Eby as a joke, the idea of getting the band’s original members back together began to take hold. Handguns played what they thought was going to be a one-off show with Langley during Four Year Strong’s Rise or Die Trying tour in April. The newly reformed line-up already has seven songs written and plans on getting into the studio very soon to record their forthcoming, yet untitled, new album. 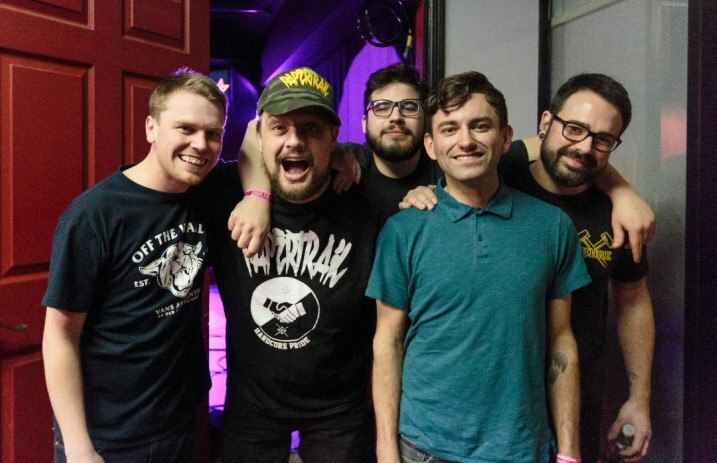 “I believe we’re going to record with Nik Bruzzese (Man Overboard) and Ace Enders (the Early November) in New Jersey at The Lumberyard,” details Langley. The band also plans to play three or four shows before entering the studio to raise the rest of the money for recording. Two dates are still to be confirmed, but one definite is in Erie, PA on Jan. 27.